It lies on the border of Karnataka and Tamil Nadu. As a matter of fact river Moyar that flows through the sanctuary acts as a borderline between the two states. The park is intersected by the Mysore-Ooty highway. The Mudumalai Wildlife Sanctuary incidentally shares its boundaries with the beautiful state of Kerala as well. Established in 1940, Mudumalai Wildlife Sanctuary was the first sanctuary of South India. The park is nestled in small hills with beautiful valleys along with free flowing waterways flowing across the valleys. It is one of the most beautiful and picturesque parks dotted with wonders of nature. The chief vegetation which the park offers comprises of tropical moist deciduous forests, dry deciduous forests and scrub forests. The topography of the park consists of mixtures of flat land, open grassland, swamp and valleys. The exciting wildlife of the park abodes to the Nilgiri Langur and the Lion Tailed Macaque, which are exclusive to this park. 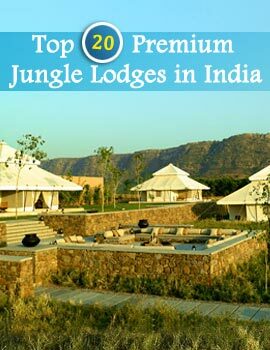 Other than these it shelters Elephants, Gaur, Banner, Macaque, Common Langur, Tigers, Leopards, Chital, Panther, Sloth Bear, Python, Barking Deer, Four Horned Antelope and many more. Other than the wild animals the forest has a rich treasure of Birds. It is one of the hot spots for the Ornithologists and general tourists for enjoying and studies. The climate in the park is usually warmer than the nearby forest reserves. 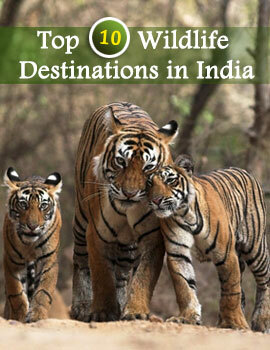 Mudumalai Wildlife Sanctuary offers lot to explore for those who seek some adventure in their life.